I have a history of lots of painful dental work and orthodonture. As a child, I wore braces and other orthodontic appliances for seven years, so once my daughter grew some teeth, we were particularly concerned that they remain healthy, straight and strong. The good news is that having healthy teeth is not so much a matter of genetics, but of diet. Because tooth decay and crowded teeth are usually symptoms of nutritional deficiencies, a whole food, nutrient-dense diet is the best protection against tooth decay and bad orthodonture. Lastly, we help her brush her teeth with a pea-sized dab of our homemade toothpaste recipe, which, like many kid’s toothpastes, has no fluoride. But unlike most kid’s toothpastes, this recipe also has no glycerine, no SLS, no artificial flavors or colors or other chemical additives. She’s eight now, and has beautiful, broadly spaced, cavity-free teeth so far! Ever wonder why most kids’ toothpastes have no fluoride? Because kids inevitably will swallow some paste, and fluoride is extremely TOXIC. In fact, eating a tube of toothpaste will kill a child (and seriously harm an adult), so be sure to keep any fluoride paste or mouthwash out of reach of little ones, just like you do with bathroom cleaners and medicines. Why are we putting a toxic chemical that everyone agrees should not be swallowed into our food and water supply in the first place? Most people don’t know that the type of fluoride added to water supplies, toothpastes, and many beverages and foods is typically a waste product of the nuclear, aluminum, and phosphate (fertilizer) industries. The EPA has classified fluoride as a toxin. Fluoride is so toxic that, in addition to being a primary, active ingredient in rat and cockroach poisons, pest fumigants and crop pesticides, fluoride is also an active ingredient in anesthetic, hypnotic, and psychiatric drugs, as well as nerve gas used by the military. Under the U.S. Safe Water Drinking Act, it is illegal to dump fluoride in lakes, streams and oceans, but, for some strange reason, it’s OK to dump fluoride into our food and water supplies and then rub it into our teeth and gums twice a day. Hmmmmm. Do we really want this stuff in our bodies at all, especially when there are non-toxic alternatives that work just as well? You might be worried about how removing fluoride from our drinking water or toothpaste might affect our teeth, but you needn’t be. While topically-applied fluoride can help prevent tooth decay in people who eat poorly, all of the recent large-scale studies of water fluoridation have shown that there are no proven, positive effects from the practice. But there is plenty of proof of harm, including dental fluorosis, osteoporosis and bone scarring, brain tumors, fluoroderma, and more. In fact, the most recent Harvard study found that fluoride exposure can impair the neurological development of children! According to statistics from the World Health Organization, the tooth decay rates of countries which do not fluoridate their water supplies are just as low, or even lower, than those countries which do. Furthermore, several studies published since 2000 have reported that there has been no increase in tooth decay rates noted in communities which ended water fluoridation. Water fluoridation is illegal, banned or just not used in an overwhelming number of countries, including most industrialized countries. Despite pressure from the dental industry, 97% of continental western Europe has rejected, banned, or stopped fluoridation due to environmental, health, legal, or ethical concerns. And yet, their children’s teeth are just as healthy as children’s teeth in the U.S! In fact, in many parts of Europe where traditional, whole food diets prevail, they are healthier. The good news is that the voice of concerned, unbiased science is beginning to overwhelm all the pro-fluoride industry propaganda. For example, in November 2006, the American Dental Association advised parents to avoid giving fluoridated water to babies or using it to make formula. Take the advice, and protect yourself and your children by avoiding the consumption of fluoride. The Case Against Water Fluoridation – The not-so-nice history of fluoridation, health problems caused or worsened by fluoride, and how to reduce your exposure from the many unexpected sources of fluoride in your life. The Real Cause of Tooth Decay (and How to Stop it Naturally) – What really causes cavities? It’s not what you think! Can you cure a cavity without a filling? Yes! This is our family recipe for fluoride-free toothpaste. It helps remove stains, leaves a fresh feeling in the mouth, helps relieve sensitive teeth, and saves money. Here's a homemade toothpaste recipe without fluoride, glycerine and other additives that aren't good for you, your teeth, or the environment. Mix all ingredients except the coconut oil to taste. You can stop at this stage and use this as a tooth powder if you wish. Put into a small, sealable jar or squeezable container and keep in a relatively cool place. Brush. Don't forget to floss! Do not use this toothpaste with dogs, or allow them to eat it. Xylitol and other sugar alcohols can harm or even kill them. If you still have doubts, this movie from the Environmental Working Group expertly sums up how and why to avoid fluoride wherever you can. Are there alternatives to the baking soda and sea salt to make it grey water safe? The sodium in both is a no go. I’ve been looking for something to replace my current toothpaste that is grey water safe but I’m having a hard time. Have you experimented with or heard of other options by any chance? Thanks! 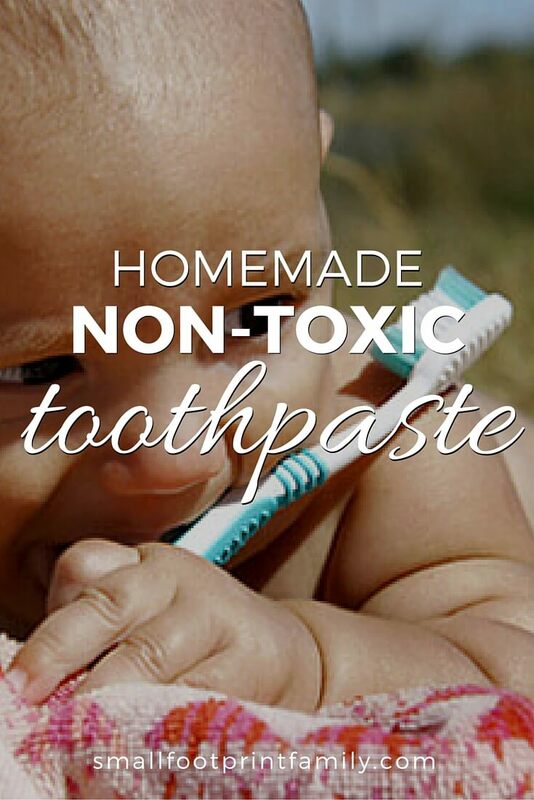 Virtually all natural toothpastes contain some baking soda, salt, or bentonite clay. I’ve heard of people brushing with coconut oil alone, but that is not so great for grey water either. I don’t know of any other options that will also do a good job with your teeth. Good luck! There is a site https://askthedentist.com/homemade-toothpaste/ which talks about the use of chocolate nibs for compounds in them which are good for teeth and dental enamel. So, is this safe for younger children to swallow? Yes, though if you add the sage, it won’t likely be palatable to kids. Hi! I’d like to know if it is possible to use some replacement for the coconut oil. Or maybe I could just add a little water to the mixture? Hope you can answer and thanks for the recipe! Coconut oil is the primary active ingredient in the recipe. It is a powerful anti-microbial and it is what makes the toothpaste work. Without it, this recipe just won’t care for your teeth the way you want it to. Also, I’m not sure if you’re still answering questions on this post, but I would be very grateful for some recommendations of filters that will remove the flouride from our water? It’s time I get that done. You’ll find some filter recommendations in this post about water fluoridation, and also in my Sustainability Shop. I didn’t read through the comments to see if it was mentioned, but just to confirm what you were saying, I’ve recently gone to a new dentist due to an out of state move. He is not a holistic dentist, but naturally minded. He said he still does fluoride treatments because his patients expect them, but he doesn’t believe in it’s absolute need, and told me, if I should get pregnant out here, to not drink the water because of the fluoridation. He’s seen many cases of flouroses in the area. Could an amount of sage tincture be substituted for the dried sage? I have found that baking soda is too abrasive for my teeth, so I’ve replaced it with bentonite clay which is sold in the bulk bins at the health food store. It costs about $3 for a 6 month supply for one person. Great tip! Bentonite clay is a great substitute for baking soda in this recipe!! What kind of store sells small glass jars? Try a craft store, a store that sells canning jars or you can recycle a baby food jar or small jelly jar! This sounds like a fabulous recipe! I just have one question: does the coconut oil have to be virgin coconut oil? Will regular coconut oil work the same? You can use refined coconut oil that has no coconut taste, or virgin coconut oil if you like coconut taste. Both work great, just get organic. baking soda,coconut oil, and a small amount of castor oil (to prevent the coconut oil from becoming too hard in cooler climates like here in Holland) makes a fabulous squeezable toothpaste. DON’T WORRY ABOUT THE CASTOR, it won’t cause a digestive reaction since the paste gets spit out. Also add mint oil and a sweetener if desired. I’ve noticed that within 2-3 w eeks of use plaque buildup has not happened on my teeth, in fact it has visibly reduced the plaque. Feels great and healthy from all sides including due to castor oil… read up about its multi-benefits. How much castor oil do you use? Thanks..I will try your recipe. However ALL childrens’ toothpastes contain fluoride….ALL of them. A cursory glance at them and you will see, clearly printed on the tubes, anti-cavity which is fluoride. This is why they have poison warnings on all commercial toothpastes. There are a number of toothpastes for children that contain no fluoride and specifically state “fluoride-free” on the tube and don’t have poison warnings. Here is one of them. However, there might be other additives, like flavorings, preservatives, or BPA-lined tubes that you want to avoid. This is why we make our own—and it’s cheaper too. Well, in your country, at least there are poison warnings on the tooth paste packages. Come to Ireland, and neither you will find a tooth paste without fluoride, nor will you find any poison warning, label or anything that tells you that the stuff might be harmful. People on this island are not told anything and kept stupid. I feel sorry for those who are not informing themselves. Hello — I am having a hard time convincing someone why flouride is bad. Would you mind sharing your sources for the information you offer here, especially comments like “the type of fluoride added to water supplies, toothpastes, and many beverages and foods is typically a waste product of the nuclear, aluminum, and phosphate (fertilizer) industries. The EPA has classified fluoride as a toxin. Fluoride is so toxic that, in addition to being a primary, active ingredient in rat and cockroach poisons, pest fumigants and crop pesticides, fluoride is also an active ingredient in anesthetic, hypnotic, and psychiatric drugs, as well as nerve gas used by the military.” Thank you so much! Do you know if this is safe to use with braces? I mean, will it somehow corrode them? I hope that makes sense. It’s Informative post for me! I made the paste with Stevia and peppermint oil, tasted, adjusted and it is very good. Makes my mouth feel better for quite a while. Thanks for the tip. I just read that fluoride makes free radicals in the brain and helps to cause Alzheimer’s, and other brain degeneration diseases. I need a sensitive toothpaste without fluoride. This sounds painful. I recently made a baking soda toothpaste and I just want to caution everyone – BAKING SODA IS VERY ABRASIVE! (Duh – I use it to scrub my bathtub!!!!) My gums are very sensitive and I didn’t think it through, so I ended up scouring my gums raw (and I do mean RAW – red, bloody and oh-so-sore!). Some people may find it necessary to alter the amounts here. To be fair, I was not using this recipe and the coconut oil in this one may reduce or eliminate the problem, but I figure it must happen to other people too! Start out gentle: gum tissue adjusts quickly to how you’re treating it. I know several dentists (as well as other people with great teeth) who use baking soda to brush their own teeth and recommend it as well. Be careful using xylitol, it is extremely poisonous to dogs. Indeed! Definitely don’t use this paste to brush your dogs teeth! I made some of this toothpaste yesterday and I love it! My teeth feel as clean as when I leave my dentist’s office! 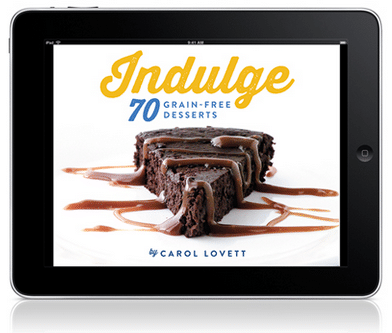 Love your blog and this great recipe! Thank you! So far, we’ve been charged $800 for a connection fee for the toxic water and $750 for a connection to remove the toxic water from our property, plus an additional $25 processing fee and a monthly water/sewer charge….we still refuse to actually hook up, though. It’s extortion, plain and simple, and a tiny part of UN Agenda 21. They will have to shoot me before they will ever be allowed to pump that garbage into my home. Thank you so much for helping get the word out about the dangers of fluoride. 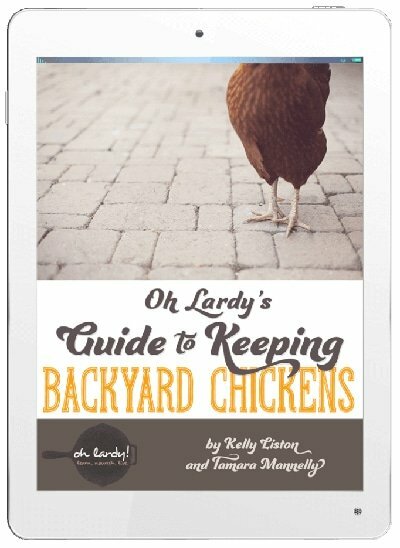 A few questions—I have made the recipe and the kids don’t care for it. So I will try with less salt as above. My other question is about coconut oil. I live in an unheated house in the UK. So my toothpaste in my silicone tube is hard. Now, the paste does a fine job on my teeth, but I was wondering if I could have a more squeezy kind of a toothpaste and still have one which tastes ok. Any suggestions? Thanks. This is exactly what I was looking for. Recently read an article about fluorosis and became concerned. Though is says that fluoride might not be as harmful in adults but still, just not worth the risk! I am going to make some right now! I have just about all the stuff I need. I am going to share this on my blog too. I just love all of your posts! And I love how you sign off – in abundance!! Uhh…….I wanted to find out how to make some type of toothpaste mix, thats watery, and the kind that you can swallow. Its kinda like Listerine, but you can swallow it. Do you know any recipes for this? I need to know QUICKLY. Thanks for your help and support. thank you for the recipe and the info!! i recently had some allergies that targeted my lips–red, itchy, dry, peel-y, then it would start all over again, continuously. i couldn’t use any kind of minty toothpaste, so, at the suggestion of a weston price follower, he told me to dip my toothbrush into organic olive oil and brush (ayurvedic oil pulling). after a couple months, i started dipping the olive oil dipped toothbrush into some xylitol and i now use that as my toothpaste. do you think that’s enough? I am not a doctor or dentist, but much of the world has been brushing successfully with little more than a frayed twig for thousands of years. It is only where there is ongoing malnutrition that you see rotting teeth around the world. Make sure you have a very good, whole food diet rich in organ meats and other especially nutritious foods. Thanks for your comment! Thank you for sharing this interesting with us at the Hearth and Soul hop. Your toothpaste certainly contains some wonderful natural ingredients. Do you use fresh or dried sage? Oh, just saw this. Thank you! I make something very similar; baking soda, fennel powder, wild oregano oil (just a few drops), cinnamon powder and licorice powder. It is slightly sweet, very cleansing. My teeth and mouth feel clean after using. The oregano oil is to kill any bacteria, the cinnamon is to whiten the teeth and the licorice is to sweeten it a bit for palatability. Fennel is used in Ayurvedic toothpaste. I make this for my family (sister, 29 y/o son) and several friends. Diet plays a major role in having/keeping good dental structure; as touted by Weston Price. @Bonnie – Where do you find the licorice powder? I would love to find some. ? Thank you Small Footprint Family for posting this recipe! Wait, wait–CINNAMON WHITENS TEETH? Sorry for the caps, but that’s how shocked I am. I had no idea! Doesn’t the baking soda do that? Great information! I’ll have to try this as I find it nearly impossible to find fluoride-free toothpaste for myself. Thanks for sharing! My dentist said baking soda is too abrasive to use all the time. It will damage the enamel with regular use. If you are a hard brusher using straight baking soda, I suppose you could. By making a paste with coconut oil and other ingredients, you are diluting the abrasiveness of the baking soda considerably. Great post! We make our own toothpaste as well, using a similar recipe. My daughter never gets much sugar, other then naturally occurring from fruits or some raw honey. She is only 2.5, but her teeth are coming in beautifully. I have to disagree about fluoride…when I was a child we did not have fluoride in our water. I had many cavaties and painful fillings. After we moved to an area with Fluorida when I was 11, I have only had two cavaties in 20 years…both in hard to reach place in back teeth. Anything can be abused but Fluorida protects kids teeth when used properly…you can have the teeth treated at the dentist too…if you object to the water. Topically-applied fluoride (as opposed to ingested fluoride) can help prevent tooth decay. But at what larger cost? Chlorine bleach can disinfect surfaces very effectively. And BPA is very effective at keeping food acids from reacting with the inside of aluminum cans. While these chemicals are all effective at what they claim to do, fluoride, bleach and BPA are all also very toxic and are known to cause serious health problems with prolonged, direct exposure. For both health and environmental reasons, I choose to keep toxic chemicals out of my home and my body, especially when non-toxic alternatives that work just as well exist. Therefore, I disinfect with steam, alcohol, peroxide or vinegar, and I prevent tooth decay with a nutrient-dense, “Paleo-style” diet, homemade xylitol toothpaste and a dental irrigator. I hope others will be inspired to join me. Thanks you so much for sharing this post with us on Seasonal Celebration. I agree with you on the fluoride issue, it’s harmful, a poison and should be kept out of products over which we have no control like water! I like this version of toothpaste! I was using baking soda and coconut oil. This is on my list to try. Thanks for sharing! Thanks for the recipe. Very informative post. I love that most of the ingredients would be found in your cupboard. I’ll have to try this! Another question (sorry)… How do you know if your essential oils are safe for toothpaste? Is that a silly question? If your oils are pure, organic and distilled from foods like peppermint, anise, etc. they are perfectly safe, though you will find their taste very strong if you use too much. Make sure you choose a reputable, organic brand, like Mountain Rose Herbs, linked above in the recipe. After asking I figured I’d rather be safe than sorry, so I ordered spearmint from Mountain Rose Herbs… I’ll leave my other essential oils for topical use only because I’m so new at all of this! I’ve never tried to make homemade toothpaste. Sounds interesting. Going to show this to my Dr. and Dentist both have had me give both our boys fluoride pills. The youngest is 2 so he is still on them, but I don’t want to give them to him now. I strongly applaud you withholding the fluoride pills. But expect a lot of flack from your dentist. Dentists are much like doctors in that they are NOT trained in the relationship between nutrition and health, and are often hostile to alternatives to the “drugs and surgery” dogma of their profession. 98% of dentists are NOT familiar with the nutritional causes of tooth decay and malocclusion (explained here), nor are they up on the studies showing the harms of mercury, fluoride or BPA in dental treatments. Either make sure you go in with primary sources (real studies and data, not a blog post), or that you go in 100% resolute that you will not give him the fluoride anymore no matter what anyone says. I ultimately changed dentists to a mercury-free dentist who uses least toxic methods, just to avoid the struggle over everything from fluoride to BPA-filled sealants (!). You can find a low-toxin dentist here: http://ppnf.org/ under Professionals Directory. You can find my primary sources in the links within my post. Also please watch the movie within this post and see the movie and links within The Case Against Water Fluoridation, so you can go in well armed with real data. Or don’t. Just put your foot down for the sake of your sons. You don’t have to have a reason at all, really, other than your own motherly judgement. There is no need for you to justify your choices with someone you are paying for a service, and in fact doing so can often weaken your stand. Best to you! -Caries (or tooth decay) is caused by sugar not a nutritional deficiency. -Fluoride is toxic, but only when consumed in EXTREME quantities. Yes a tube of toothpaste is considered an extreme quantity. However, almost anything, including water (non-flouridated) can be harmful when consumed in excessive amounts. Fluorine, the element that forms stable compounds, or fluorides, with other elements, is a naturally occurring element. -I do not know where you are quoting the statistic that 99% of western Europe has banned fluoridation, because 95% of all European toothpaste is fluoridated. -I would love to see the world health organization statistics that you are quoting decay rated in countries without fluoridation vs those with. I will not deny that many under-developed countries that have not been corrupted by a high sugar, processed food diet would likely have less incidence of caries even though the water is not fluoridated, but again that is a result of diet. -I applaud you for keeping your daughter away from sugar and processed foods; you are doing the best thing for her dentally and developmentally. You are also taking more interest in her teeth than probably 99% of parents do. -If every parent brushed their child’s teeth (or person brushed their teeth for that matter) twice a day, especially at night before bed, even without using toothpaste, there would be a significant reduction in the occurrence of cavities. Flossing would reduce it further. Unfortunately, people are uneducated or unwilling to take these measures. As a result, fluoridated water is EXTREMELY helpful in caries reduction as a whole. You may think it doesn’t work, but with the high sugar diets that the average US population consumes, tooth decay would be rampant. -Lastly, the government tests the drinking water and moniters it closely to make sure there is not an excess of fluoride in the water. Water is NATURALLY FLUORIDATED in places like Colorado, so no fluoride is added, and in fact, fluoride is sometimes removed. Dental fluorosis can occur with excessive exposure, but before all of these regulations, the Colorado population had significantly occurrences. -Please support your research, if any, when posting articles like this. I would love to learn more about these concerns, because I am sure I will encounter patients with concerns similar to yours. Try clicking on the links within the article, which go directly to my sources. Since this is just an article on toothpaste, please refer to my post on The Case Against Water Fluoridation, where you will find a LOT more data, as well as links to studies, summaries and the writings of dentists. Here’s one of my sources to get you started. Not only is dental fluorosis present in at least 32% of children now (!!! ), according to the CDC, but there is substantial evidence of additional harm to other body tissues as well. There are many populations all over the world even today that do not have access to toothbrushes, much less fluoride, and these people do NOT experience any significant tooth decay unless they are in poverty, famine or war. The relationship between diet and remineralization of dental enamel is well established, first in the 1930s by Dr. Weston A. Price, DDS in his seminal work Nutrition and Physical Degeneration. Sugar does NOT cause tooth decay in and of itself, but it does cause imbalances in the body that stop your teeth from naturally remineralizing themselves, thereby contributing to tooth decay. This is also well-established, and if you didn’t learn it in school, you might want to question the quality of your education. And since you are still in school, I would strongly encourage you to broaden your research beyond the ADA “drugs and surgery” approach typical of dental schools, and check out the more nuanced work of Dr. Price and the many subsequent dentists and scientists that continued and augmented his work. You can learn more about this body of work and the rapidly growing field of non-toxic dentistry here. Lastly, here is a study highly critical of fluoridation, based on reexamination of studies. I hope you will not just believe whatever they tell you in school, but that you will critically look at the real data yourself, as well as the work of the many reputable dentists and scientists that disagree with water fluoridation, mercury fillings and other highly toxic dental procedures. I think that given the exploding popular interested in non-toxic dentistry, it will serve you and your future career very well. “In summary, we hold that fluoridation is an unreasonable risk.” —US ENVIRONMENTAL PROTECTION AGENCY HEADQUARTERS’ UNION, 2001. “I am quite convinced that water fluoridation, in a not-too-distant future, will be consigned to medical history.” —Dr. ARVID CARLSSON, Pharmacologist, Nobel Laureate in Physiology and Medicine, 2000. On the same note to Dawn re: Dana’s post; dental caries caused by diet/nutritional deficiencies was more than proven by Weston A. Price in his research from the early 1900’s (I saw a “slide show” presentation of the original pictures he took of subjects from the 1900’s in several countries he toured with his wife; from a class taken last year), research at westonaprice.org. Also noteworthy information along these lines regarding dental practices via Hal Huggins research, and the book, The Tooth Truth by Frank Jerome, DDS. I had a close friend whose mouth cancer tumor completely dissolved after having her tooth removed by Dr. Jerome, that had had a root canal in it. No radiation or chemo would affect it. I believe also on Dr. Mercola’s site you can listen to interviews regarding dental practices that are harmful and toxic and not being addressed appropriately by the ADA. Apart from your academic mambojambo, why would somebody put rat poison in the drinking water, even if it was good for the teeth, as you say? When it is bad for 50 other things at the same time? It is like prescribing chemo therapy and radiation in case of cancer. Doctors desperately hold on to completely falsified and manipulated studies when it comes to medication, and they suffer from a myopia with regards to the fact that pharmaceutical and industrial corporations do not work for the well-being of people, but for their own wallet. Dana (and anyone interested in learning about fluoride), I highly recommend youtube videos, books or articles by David Kennedy, DDS. I realize that the post I am replying to is a year old, but there simply has to be more to the tooth decay issue than a deficiency of fluoride and a high-sugar diet. I have seen too many careful moms (including myself) watching their young children’s teeth fall apart when the cause is absolutely NOT from nursing or giving bottles at bedtime, or from soda, candy, processed foods, dried fruit, etc., and they HAVE very carefully established habits of dental hygeine. On the other hand, there are many who are not so careful with little to no tooth decay. Do look further into the fluoride issue, and don’t look to just one source on it; likewise with the nutritional issue (in this low-fat-low-nutrition culture, good dietary fats are critically important for young children, among other things). BTW, a baby drinks its body weight in water every four days (either through its mother’s milk, or added to formula). That brings the levels of fluoride in water to a more significant concentration for these little ones than for adults; some argue it’s much higher than the levels that are deemed “safe”. Those living in fluoridated-water cities may want to look into this or, at the very least, don’t give additional fluoride supplements to children and babies. Hi Dana! Thanks for commenting! I’ve written extensively about the dangers of fluoride here and the real causes of tooth decay here. You are absolutely right about it being unrelated to fluoride or even really to sugar in the diet. Thanks for sharing your recipe! I am going to have to give this a try with my kids. Do you use this same recipe as an adult or do you change it? I use the same recipe for the whole family, however my kid also willingly eats spinach. You might want to try less salt, less essential oil and/or a flavor like vanilla extract for the little ones. Wow, this is a lot of good and beneficial information, thanks for sharing all of this. We have been transitioning to a Whole Foods diet the last year, and the more I read the more grateful I am that we are switching are habits. I’ll have to give this toothpaste a spin! Welcome to the Real Food World, fellow traveler! I’m so glad you are here! We use these tubes http://amzn.to/GLttCv, but a jar works great too since almost all of the ingredients are germicidal. Wow!! The Gotoob travel bottle is just what I’ve been wanting to find!! I’m just beginning to make my own face & body creams and have been wanting to find something like this product. I’m really interested in making my own toothpaste, just got my free sample pack from xylitolusa.com, so now I have all the ingredients. A Gotoob will be perfect for my less than tidy children. Thank you!! You’re welcome! I’m so glad to be able to help! I make mine as well but do not add the salt. What is the purpose of the salt? Salt is a mild antibacterial, whitener and it’s good for the gums (like a salt water rinse recommended by dentists). You don’t have to use the salt (it does affect taste), but we prefer it for gum health.